NANOE is a nationwide network of individuals who believe that “innovation never fears a challenge” and that the greatest contribution nonprofit practitioners can make to charity is to become the creative, thinking enterprise-leaders our sector so desperately needs. 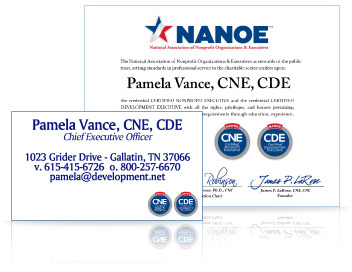 Advanced Credentialing - CNE, CDE & CNC are available to NANOE members only. 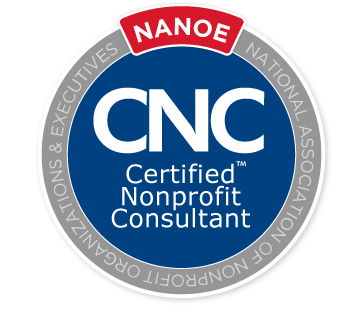 Practitioners who achieve a prestigous NANOE Credential are officially recognized in NANOE Central’s Medallion Directory. Automated Credentialing Portal - Achieve your CNE, CDE, CNC credentialing online. Take your exams at your own pace using NANOE’s Save-As-You-Go function. Capacity Builder’s Download Library - Thousands of pages of source material providing you all the answers you need to make pass your credentialing exam! Downtown NANOE - Members have unlimited access to this virtual online expo full of discounted services and products charities need to achieve their important mission. 501c3.Buzz Magazine - BEE HAPPY with your paid subscription to 501c3.Buzz Magazine. Start each week with only the fun stuff emailed right into your InBox. 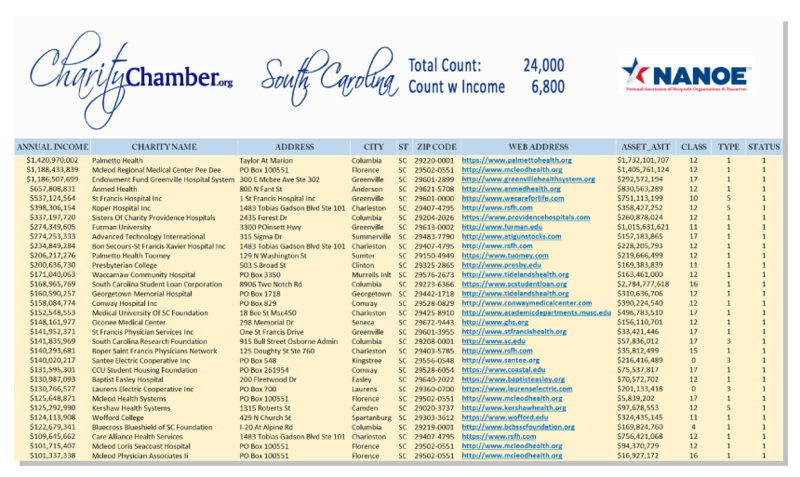 FIVE Practitioner Membership Packages (all privileges) for five designated representatives from your organization transferable to another individual(s) should the member leave your employ. NANOE Best Practice Charity Medallion - Nonprofit organizations who maintain their annual-membership, keep their NANOE Link Profile up-to-date, commit to NANOE’s Best Practice Guidelines, and hold an IRS letter of determination for 501c3 status are named a NANOE Best Practice Charity. FIVE Practitioner Packages & ONE Organizational Package (all privileges) for five designees from your corporation transferable to other individual(s) should the member leave your employ. 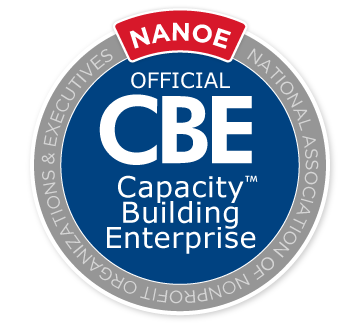 NANOE Capacity Builder Enterprise Medallion - NANOE provides corporations and businesses who serve the charitable sector the designation NANOE CBE Partner. This “Seal of Approval” gives nonprofit administrators the confidence they require when choosing the cost-efficient and superior products they need to accomplish their mission. 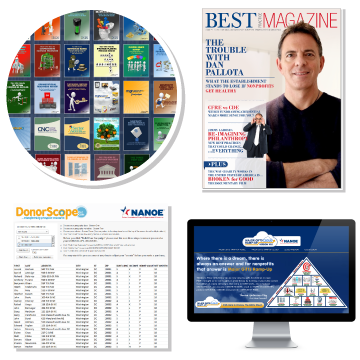 Enterprise Members who keep their NANOE Link Profile up-to-date, and commit to NANOE’s “Best Practice Guidelines” are licensed to use the NANOE CBE Partner Logo on their company’s website, stationery, marketing materials, etc. DOWNTOWN NANOE - VIP Placement in NANOE’s Virtual Online Nonprofit Expo PLUS Discount Access to all NANOE Convention & Expo Exhibitor Packages. new ways to build capacity.